The gist of the paper is that the moon has a solid inner core, a liquid outer core, and a mushy partially molten region above the outer core. The Earth has all of these same features in its deep interior too. Scientists have long suspected the Moon to have a core due to indirect evidence such as the composition of lunar rock samples or the lunar Love numbers. The Weber et al. 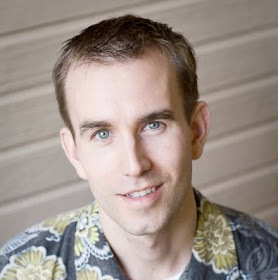 paper provides the first direct evidence of seismic wave reflections off the lunar core. This finding is a big deal because by knowing the structure of the lunar core, we can understand the moon's present and past thermal state, the history of the lunar dynamo, and the origin and evolution of the Moon. After all, the prevailing theory is that the Moon formed from a giant impact into the Earth, so its history tells us a great deal about our own planet too. 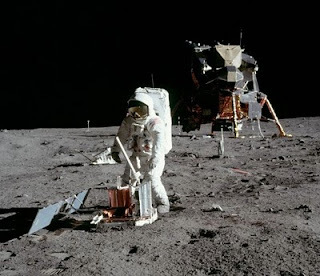 Between 1969 and 1972, Apollo astronauts installed seismometers at the Apollo 11, 12, 14, 15, and 16 landing sites for the Apollo Passive Seismic Experiment. The Apollo 11 instrument died after only 2 weeks, but the rest faithfully radioed data back to Earth until they were switched off in 1977. Almost all of our knowledge about the lunar interior comes from this data, which was plagued by many problems. For starters, the small number of Apollo landing sites were all clustered together on the near side of the Moon, which limits the perspective and effectiveness of the seismic network. The lunar seismograms themselves were very noisy due to intense scattering of the seismic energy in the regolith and almost complete lack of energy attenuation due to the lack of significant water on the Moon. This has made interpreting Apollo seismic data very difficult because traditional seismic analysis techniques don't work well without clear wave reflections and refractions. Buzz Aldrin installing a seismometer at the Apollo 11 site. Comparison of seismograms on Earth and the Moon. After nearly 40 years since Apollo, modern seismological data processing techniques have grown sophisticated enough to take on even the messiest of lunar seismic data. 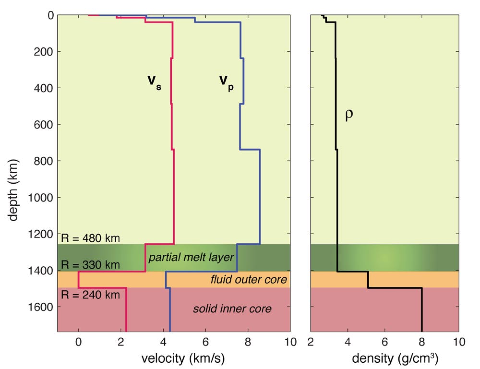 Weber and her colleagues used an array processing technique to enhance the signal-to-noise ratio in the data and detect a number of seismic phases corresponding to the inner core, core-mantle, and partial melt boundaries. The trick that others before them had not done was applying a polarization filter to suppress the noise after stacking the seismograms. This brought out a number of reflectors between the P- and S-wave arrivals, which they interpreted as being from the deep core layers. They looked for core reflections at the four long-lived Apollo seismic stations coming from 38 clusters of deep moonquakes at depths ranging from 700 to 1200 kilometers beneath the Moon's surface. The way they did this was time-shifting the seismograms to align them with predicted core reflection arrival times for a range of prospective core radii. For each case, they then summed the shifted traces. Noise, being random, tends to cancel itself out, but real signals add to each other coherently and appear as bumps. Through an iterative approach, they were able to find the best-fitting radii and P- and S-wave speeds of each layer in the lunar interior models tested (For you seismologists, the models considered PcP, ScP, ScS, PcS, and PKiKP reflections.). The best-fitting lunar interior velocity and density models from this analysis are shown in the figure below. Interestingly, this study found that the lunar core is only 40% solidified, meaning 60% of it is still in a liquid state. However, the small temperature differential between the inner core boundary and the core-mantle boundary means that the Moon's liquid outer core is subadiabatic and therefore stably stratified. Without a strong temperature gradient to drive convection in the outer core, there can be no movement of the liquid iron alloy to generate a magnetic field. There are still many lingering questions that will only be answered when we establish a more extensive lunar seismic network in the future. If we had a global network of seismometers on the Moon, we could gain a more complete understanding of the forces that causes moonquakes, for example. The Moon is a small planetary body and therefore should have cooled quickly. Why is some of it still molten? Obviously, the lunar mantle acts as a very good insulator and has prevented all of the Moon's initial heat from escaping. Why? If the Moon can keep a molten core for this long, maybe other small bodies can too. How does this change our understanding of heat transport in planets? The Earth's internal heat drives not only the generation of its magnetic field but also the entire plate tectonic system and its secondary effects like volcanism and earthquakes. I had seem some of Weber's preliminary findings in the poster she presented at last year's Ground Based Geophysics on the Moon workshop and remember thinking it was exciting that someone was taking a fresh look at the Apollo seismic data. She's hardly alone in that pursuit. Over the years many people have tried to eek out more information from the Apollo seismic data with only incremental improvements in our understanding of the lunar interior. Yesterday's publication seems to have finally broken new ground in a significant way. According to her bio, Weber and I are about the same age. While I have dabbled in planetary seismology for the past decade, she has accomplished what I could not: get funding to carry out planetary seismology research professionally. In my first career as a graduate student, I tried very hard to make that happen to no avail. My hat's off to Dr. Weber for making it work and for her contributions towards advancing seismology on the Moon and Mars. Maybe one day I'll install a seismometer on another planet that will contribute to a future iteration on this work. One of the reasons I am such an avid supporter of President Barack Obama is the recent 'airplane depreciation bill' that he managed to somehow start. Sometimes it's the thinking and not the tools that produce the necessary results.